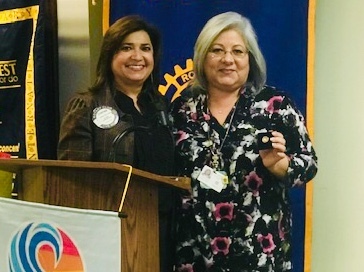 Terry Fernandez, awarded her 2nd Paul Harris Fellow pin recognition and Pat Bowers awarded her 3rd Paul Harris Fellow pin recognition. 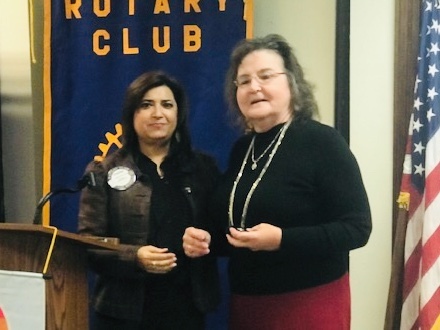 Congratulations to both Rotarians! Thank you for your contribution.